Lead & Nickel Free! 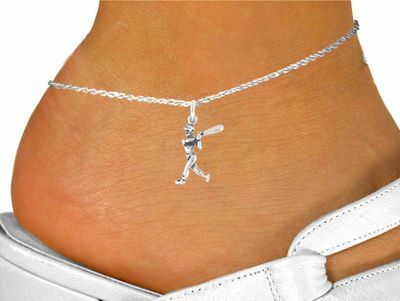 Baseball/Softball Batter Charm Comes On A Lobster Clasp Anklet. Charm Measures 1 1/8" x 1".